Listed as Grade 1 historic building by the Antiquities Advisory Committee (building of outstanding merit of which every effort should be made to preserve if possible), the temple was built in 1266. 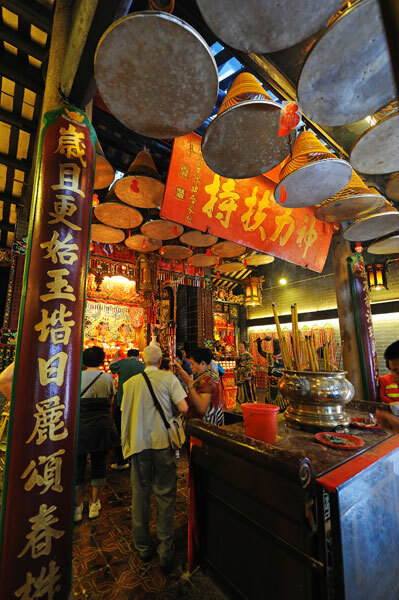 This is the oldest and the largest Tin Hau Temple in Hong Kong which earns itself the name of "the Big Temple" (大廟). 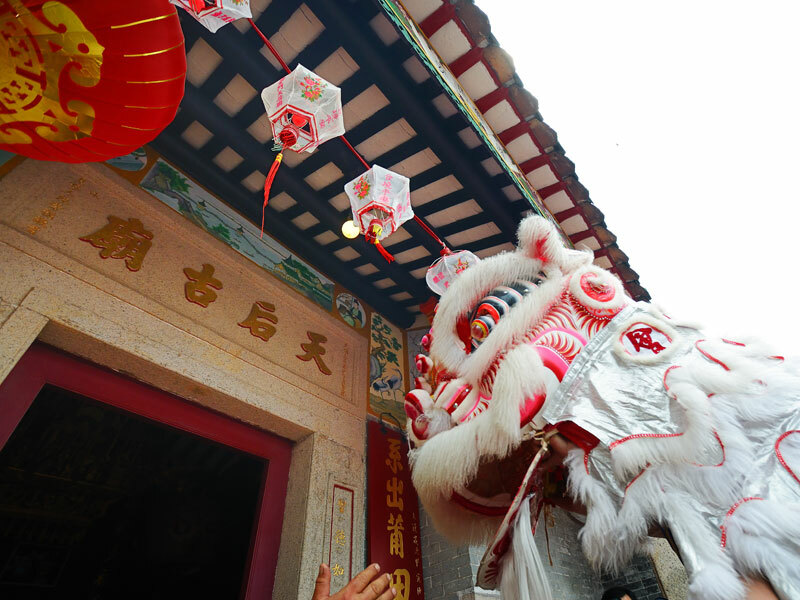 During the Song Dynasty (宋朝), two brothers from Fujian Province (福建省) came to live in Kowloon. They made a living by shipping salt to the mainland for sale. One day, they were hit by strong winds and were swept from their boat. Shouting for help from Tin Hau while struggling in the sea, they were drifting safely on the shore of the Joss House Bay. 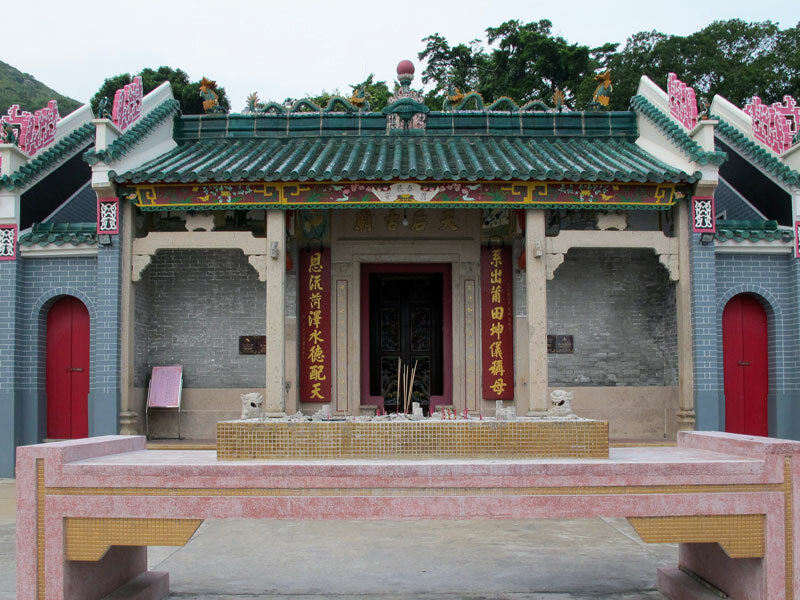 The brothers then built a temple to show their gratitude for the help from Tin Hau. 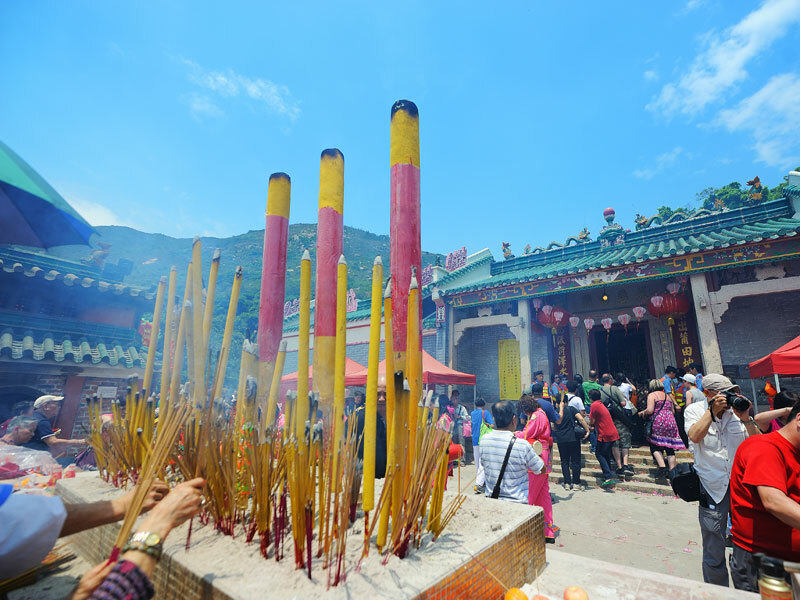 Tin Hau (天后), also named Matsu (Mother-Ancestor)(媽祖), was a native of Fujian Province. She met a Taoist priest at the age of 13 who taught her how to predict the future, weather and help those who were sick and weak. It was said that she travelled above the sea to save the people who were being drowned. People therefore look upon her as the goddess for safety on the sea. The temple has an imposing facade which faces a spacious frontage. The protruding eaves, supported by two stone columns immediately before the doorway, form the porch. The main building is flanked by four side halls, two on each side. 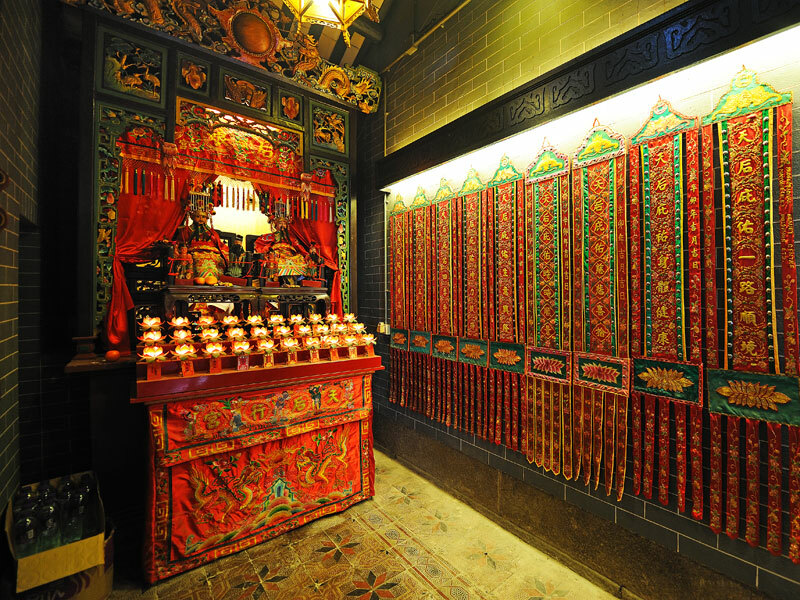 On the left two are Tin Hau's bedroom (where the Dragon Bed is situated) and Hall of Matreya Buddha (Laughing Buddha) respectively, while the side hall on the right are the temple keeper's office. 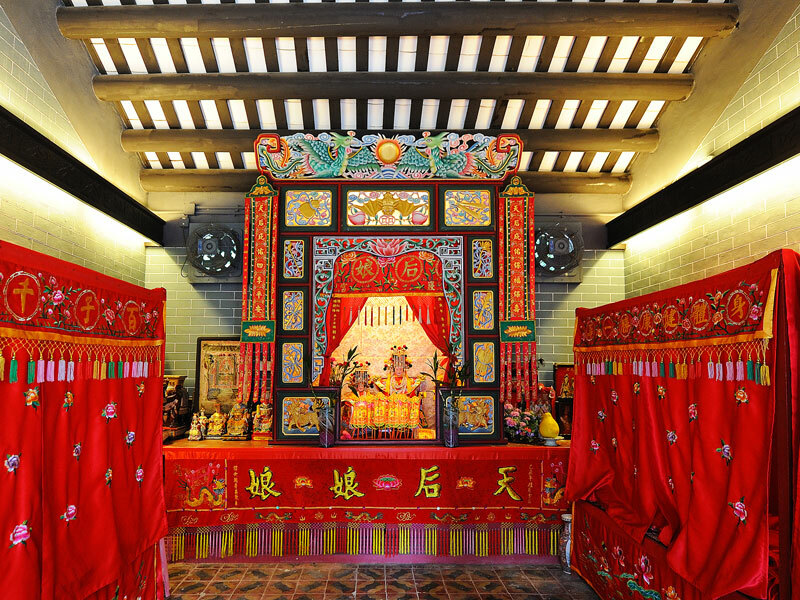 The main hall houses the Tin Hau image. Two miniatures of Tin Hau's vessels of two and a half metre long are placed on both sides of the main hall. 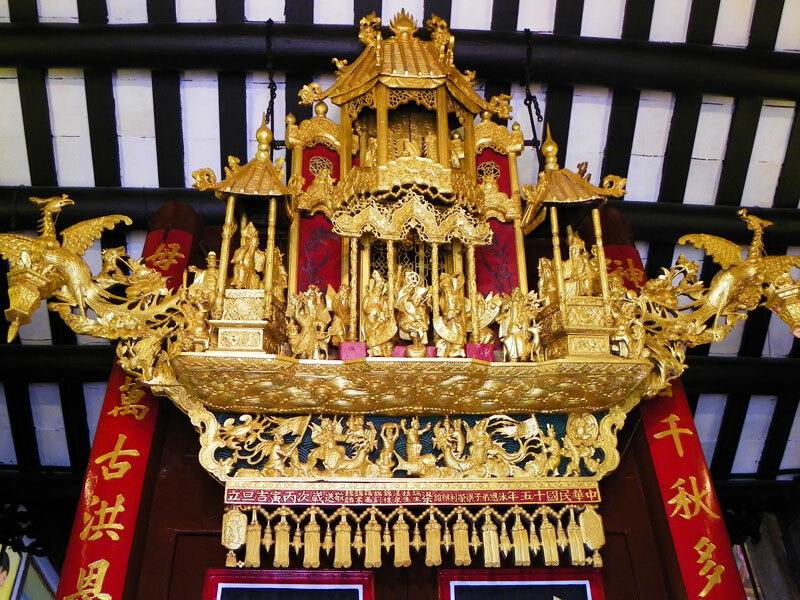 Notable objects in the temple include an iron incense burner, a ceremonial pot and a copper bell, all were made in the Qing Dynasty (清朝). 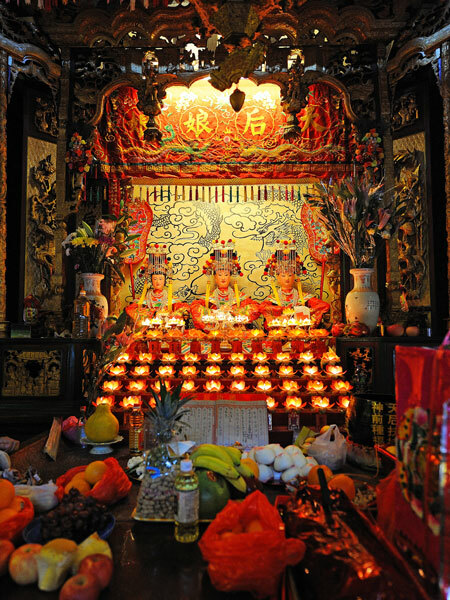 Apart from the main deity of Tin Hau, the temple also houses Gum Fa Leung Leung (Patron of Pregnant Women) and Maitreya Buddha. 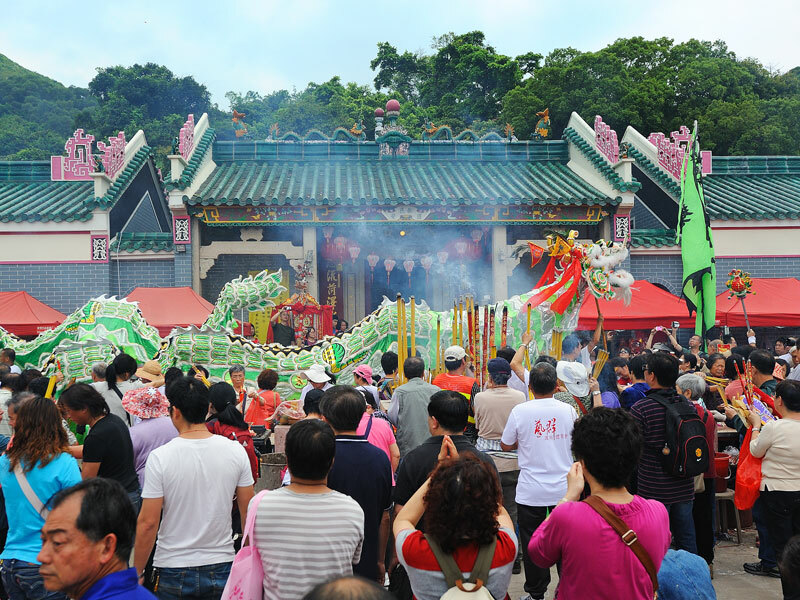 Tin Hau Festival falls on the 23rd of the Third Lunar Month. 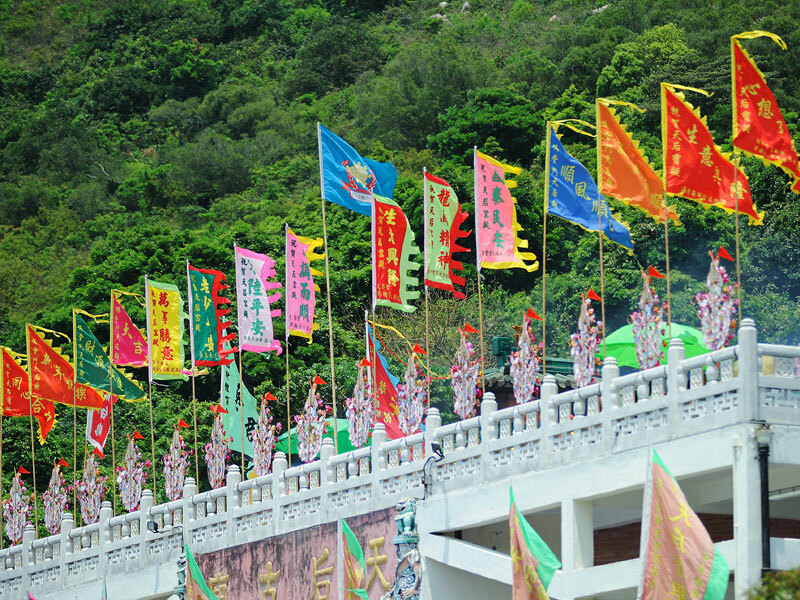 The temple is thronged by thousands of worshippers during the festival. 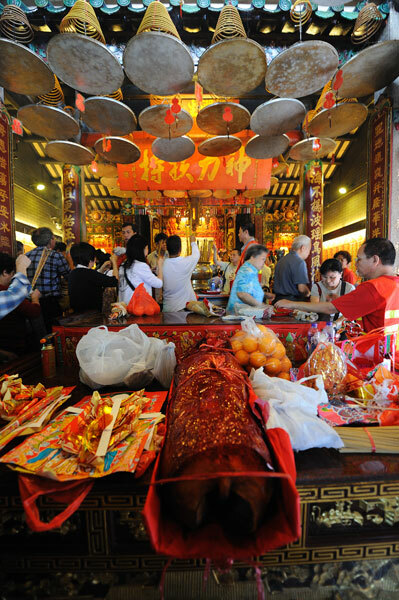 Many worshippers also go to the Tin Hau's bedroom to fumble under the quilt on the Dragon Bed for grabbing good luck such as lotus seeds, which they believe will bring babies to the family, or packets of lucky money, which brings fortune in the coming year. The temple underwent several renovations in 1840, 1877, 1962 and 2009. MTR-Po Lam Station Exit A, take the green minibus route 16 (Po Lam to Po Toi O), get off at the Clearwater Bay Golf & Country Club, walk for about 10 minutes down the steps nearby.